Add the first 4 ingredients to a pot and cover with water. Bring to a boil. 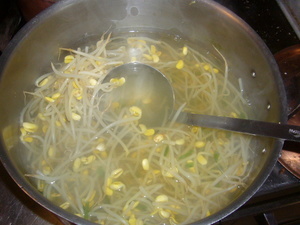 Allow to boil for 3 minutes. Adjust salt. 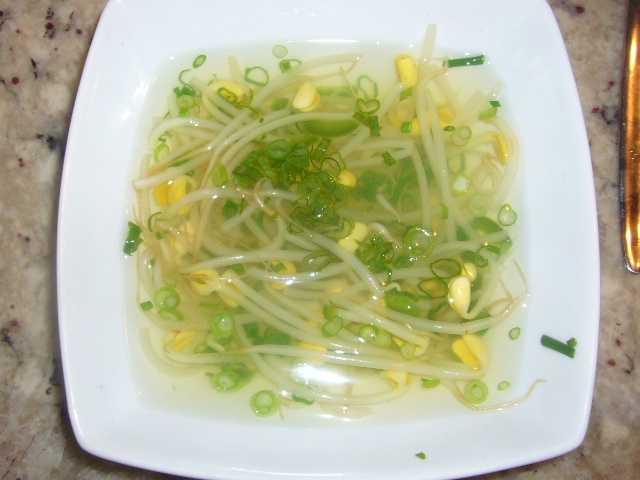 Top with scallions and serve. Can add more Jalapenos to taste.